I haven’t posted on this yet as I’ve been too busy weeing myself with excitement! After George Lucas said he wouldn’t again bring Star Wars to the silver screen – forcing fanboys and girls to launch their own fan fiction and galaxy of What If’s – Disney announced that it is buying Lucas Film for a sweet $4.05 billion. 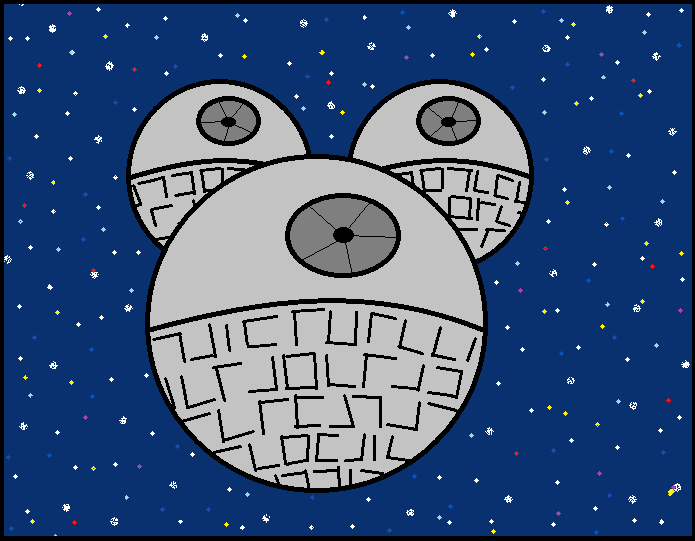 This means that LucasFilm and all its story lines now belong to The MouseFather. They’ve already announced that they are going to make Episodes 7,8 and 9, releasing the first in 2015 and the next one every 2-3 years. 1) the chance that Disney will start forcing their vile little Mousekateers down our throats, putting wide-eyed innocent lovelies in some of the grittier roles, or sneaking Disney songs, product placement and Magic Kingdom marketing into scenes. 2) George Lucas will still be involved as a creative consultant. Remember we thought the Ewoks were the worst that the galaxy could cough up until Jar Jar Binks? Remember Han Shot First? Recall the desperate reliance on CGI in ep isodes 1-3? Think back to the constant revisions and tampering the goes on with each ‘special edition’ release? Everything else is pretty much sunshine and lollipops, with the huge fanbase having been hungry for more since the original trilogy release. I think Lucas made a sequence of bad decisions which left a lot of people disappointed, and therefore I’m taking the optimistic, living-in-Unicorn Land view that things can only get better. We get more Star Wars. In our lifetime. Glorious.